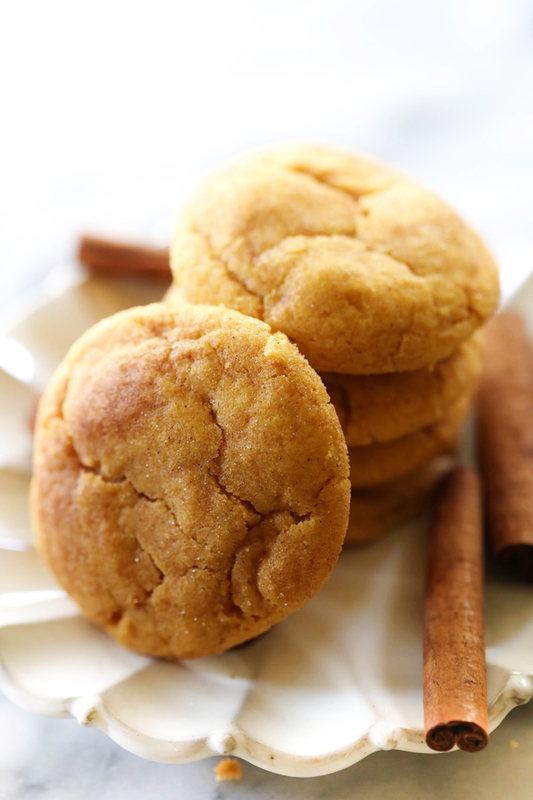 These Pumpkin Snickerdoodles are so soft and delicious. They have the perfect amount of spice and seasonal flavor. They are coated in cinnamon sugar and baked to perfection. These cookies are a wonderful fall treat! The temperatures have cooled down and the fall baking has increased. I love the smell of fall in my kitchen. It makes my heart happy. Pumpkin Snickerdoodles are a fall classic and this is how my family makes them. They are soft and taste heavenly. The cinnamon/sugar coating on the the outside not only adds taste, but texture as well. 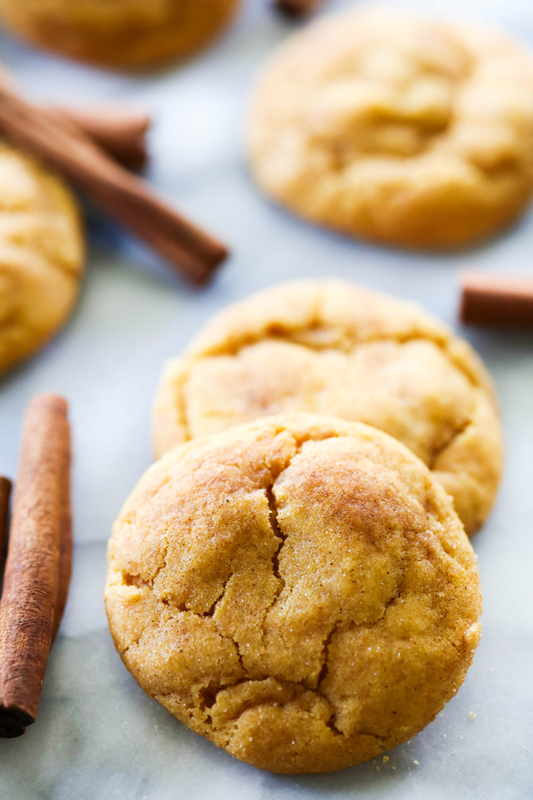 The entire Pumpkin Snickerdoodle is perfection in each and every bite. This recipe will become a new fall staple! In a large mixing bowl, cream butter, sugar, and brown sugar. Add egg, pumpkin, and vanilla and beat again. Sift together four, cornstarch, cream of tartar, baking soda, baking powder, salt, cinnamon, ginger and nutmeg. Slowly add dry ingredients to pumpkin mixture. Do not overmix. Cover dough and refrigerate or freeze until chilled. Mix ⅓ cup sugar and 1½ teaspoon cinnamon together on a plate. Scoop 1 inch balls of dough, roll to form a ball and roll ball in cinnamon sugar mixture. Place on cookie sheet and bake for 10 to 12 minutes. Do not over bake. They should look slightly under-baked. Cool on cookie sheet for 2 minutes before transferring to a flat surface.